Israel will deport to Ireland on Friday MEP Paul Murphy who was among more than 20 people detained for trying to break a naval blockade by sailing to Gaza, Israel's mission to the EU has said. European parliament president Jerzy Buzek had earlier called on Israel to "quickly" release Paul Murphy, an Irish Socialist Party member, and other Europeans detained with him near Tel Aviv. The Israeli mission in Brussels said that following his arrest last week, Murphy had been offered the possibility to leave Israel by signing a waiver within 72 hours, but the lawmaker refused. "It is unfortunate that Mr Paul Murphy, a Member of the European Parliament, chose to instigate a political provocation by attempting to break a legal naval blockade despite the EU's position on the matter," the mission said in a statement. "This coming Friday, 11 November, 2011, MEP Paul Murphy will be deported to Ireland after a brief detention by the Israeli immigration authorities following his attempt to breach the naval blockade," it said. A spokesman for Murphy's group in the parliament said the MEP "considers that he was kidnapped in international waters," and refused to be expelled immediately because he challenges the fact he has to appear before an Israeli judge. Mr Buzek also urged Israel to "respect the rights" of the detainees, the parliament president's spokesman said. The Israeli interior ministry said Sunday that 21 activists were being held pending proceedings against their deportation before an Israeli judge. The 21 were among 27 passengers and crew aboard two ships intercepted by the Israeli navy as they tried to run the blockade of the Gaza Strip last week. Israeli commandos boarded the Irish-flagged Saoirse (Freedom) and the Canadian ship Tahrir (Liberation) in international waters off Gaza on Friday before the navy escorted them to the port of Ashdod. Six passengers were released on Saturday - an Arab-Israeli, two Greek crewmen, and three journalists from Egypt, Spain and the United States. A group of Independent TDs have accused the Government of a "shameful" silence over the arrest of Irish citizens taking part in the Gaza flotilla. 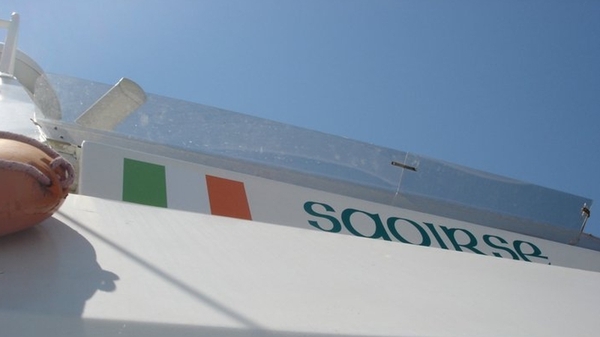 Independent and ULA members of the Dáil called on the Taoiseach and the Tánaiste to condemn the arrests, which they said were made in international waters. Socialist Party TD Joe Higgins said the embassy staff on the ground had been very helpful and had reported that seven of the 14 were to be released tomorrow, but it was not clear which ones. Mr Higgins and Richard Boyd Barrett said they had tried to have the matter debated in the Dáil, but had not been successful. 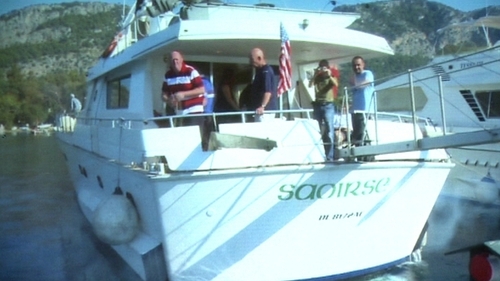 Meanwhile, the Irish Anti-War Movement has expressed solidarity with the 14 Irish passengers of the MV Saoirse. The IAWM called for the passengers to be released immediately and also asked the Irish Government, particularly Minister for Foreign Affairs Eamon Gilmore, to stand up to the "attack on Irish citizens by Israel".